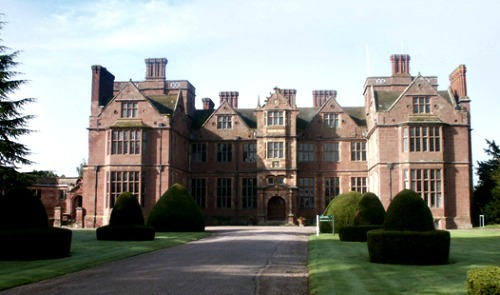 In Anglo Saxon times, Condover hall was a royal manor and moved in and out of crown ownership right up until 1586, when a member of parliment named Thomas Owen bought it. He made plans with an unknown architect to design a new manor on the site to replace the crumbling hall which stood there before, and made a 3 storey, Elizabethan sandstone building which at the time was one of the finest manors in the country. The new manor was passed through various familys and private ownerships up until 1946, when it was renovated and turned into a school for the blind. Though this later was turned into a residential school and then again later on into a school for the autistic. The school closed down in 2009 and then under went a multi million pound refurbishment and has been turned into a residential activity center, complete with its own Harry Potter themed spell room for the younger children. As for searching for ghosts here the hall and grounds are open to the public due to its current function, but you would be better off contacting the venue directly to arrange any type of investigation. Whenever a place becomes popular and has a good ghost story attached to it, the number of spooky tales normally sky rocket, and it seems Condover Hall hasn't escaped the norm. There are tales of everything here from eyeless ghosts walking the corridors to people being chased through the grounds by angry spirits. These types of stories never have any kind of evidence and often are the work of someone just wanting to add their piece to the spooky fabric of the place. But there is one tale which has made the hall somewhat famous in the area for being haunted. One of the halls previous owners, Lord Knyvett is said to have been murdered in the house. He was stabbed at the top of the stairs to the basement and in his attempt to escape went down the stairs and placed his blood covered hand on the wall for support. It is this hand print which began the ghostly tale, as from all of the hall staffs efforts the hand print could not be removed. No amount of scrubbing or repainting could remove the mark, so in the end the area of brickwork around the hand print had to be chipped away. The butler was blamed for the murder though there was no real evidence or motive, though he swore his innocence and it is thought the true culprit was the lords son. The butler was sentenced to death but before he died he cursed the family and since that day there hasn't been another heir to the hall in any family that has owned it.